In virtually every system of spirituality the world has ever known, sound has been considered a direct link between humanity and the divine. The ancient mystery schools all taught their students the use of sound as a creative and healing force. 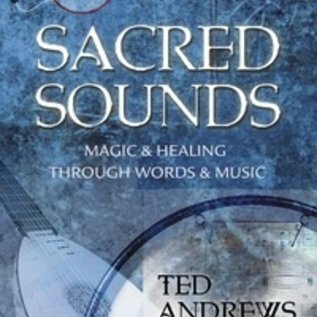 Now, Sacred Sounds by Ted Andrews reveals how to tap into the magical and healing aspects of voice, resonance, and music. On a physical level, these techniques can be used to alleviate aches and pains, lower blood pressure, and balance hyperactivity in children. On a metaphysical level, they can be used to induce altered states of consciousness, open new levels of awareness, stimulate intuition, and increase creativity. Sounds can heal through their vibratory energy. To understand how this works you need to understand the power of vibratory energies within your body. This book will teach you about the chakras and how energy flows through them. You'll see what happens if that energy is blocked and learn how sound can be used to free the energy, a practice that can result in healing the physical body. To be even more specific, you'll learn the secrets of esoteric toning, healing method that involves vibrating certain vowel sounds. You will discover that each vowel has different pronunciations and different purposes. Thus, if you pronounce the vowel "a" as in "hay," you can help with problems of the chest and circulation. If you pronounce it as in "cat," you can heal respiration and mouth problems. And if you pronounce it as in "saw," it can aid digestive problems. All of this and more is fully explained in Sacred Sounds. Perhaps the most famous users of sound were the bards. In Sacred Sounds you will learn their history, lore, training methods, healing techniques, and more. 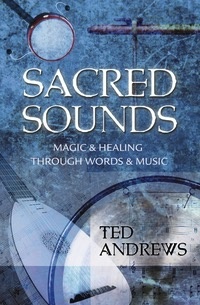 In short, when it comes to using sound for magical and spiritual purposes, Sacred Sounds should be your key text. Get it today.